Thought I’d begin a new series for KamikazeeGirl by sharing more of the things that I love. Being a typical Taurean, I am the kind of person that can get very stubborn when it comes to the things that I like. I can get very picky when it comes to what I use, more so on the food I eat. Are you also the type that when you like something, you will use it over and over until you tire of it? That’s how I am. 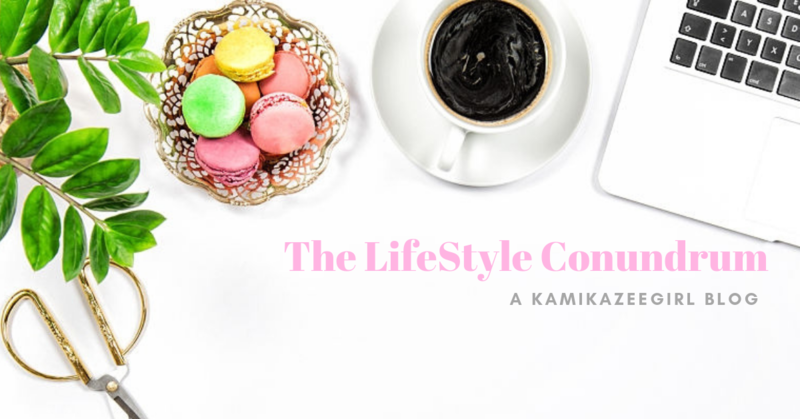 I have this idea to share with you, via a weekly installment, some of my favorite things and maybe even inspire you to share with me some of your too! Do drop me a note on the comments. My current work is really stressful. There are days when my only means to escape stress is to have my “Me Time” usually spent in the company of my pens, sketch pads or books. That is if I am not blogging or doing any writing on the side. Or I take a bath – a long hard bath where I am not time consciousness hurrying for work–and I take my time enjoying the cold shower. I love bath soaps with natural ingredients — like fruits and flowers mixed into the soap bar itself. I love the fresh smell of fruits on a newly opened bar of soap. I am currently using “Flake Away Scrub in a Bath” by Skin Naturelle. This soap smells like kiwi and strawberry and it smelled really good. The first time I opened it, I am almost tempted to lick the soap because of how good it smelled. I’ve been using this for a few days now and I love its effect on my skin. It’s like having a built in loofah or scrub in a soap due to the kiwi seeds which served as a natural scrub. This is perfect to use on dry areas since it scrubs old or dry skin away. Aside from the kiwi and strawberry, the soap also contains glutathione, papaya extract and moisturizers. The fresh smell also lasts the whole day. I am looking forward to using my “Pretty Me All-In-One Soap” made of tomato extract and glutathione. While getting fair skin is the farthest from my mind, I love it’s moisturizing and anti-aging properties. 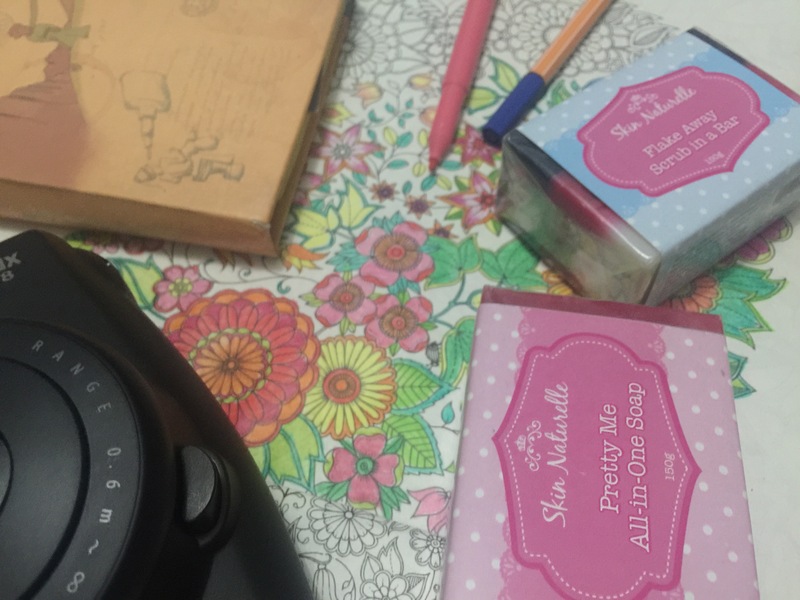 Skin Naturelle Soaps retail for PHP 130 per bar. I have so much respect and love for the movie, “Heneral Luna” because it made me realize that the local industry is capable of making decent movies. I hated the local movies. I find it-with the mindless comedies, slapstick humor, kabit tearjerker sand saccharine fares for the younger set-tasteless and a waste of the PHP230 usual cost of a movie ticket. But then, Heneral Luna came along. This movie showed that given an intelligently-done movie, Filipinos will flock to the cinemas and watch it over and over again. Young Pinoys will use social media to invite others to support the movie and refrain from downloading via torrent or buying pirated copies. Given a good movie, Pinoys can appreciate history. Heneral Luna showed that you don’t have to put big, studio names in order to sell a story. This movie showed that there is to the local film of industry than the mindless drivel usually available on screen. The movie has now earned more than PHP240M and still counting, something which was not possible before with local historical films. This early, Pinoys are already waiting for the second installment of the movie about the life of the boy general Gregorio del Pilar. 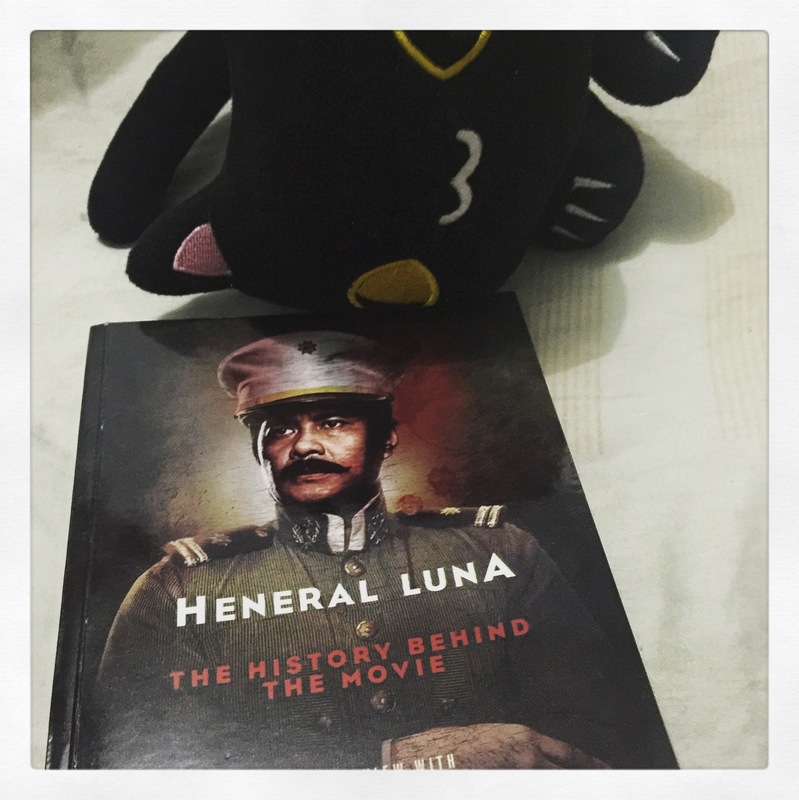 I loved the book because it clarified a lot of the aspects of the film, and gave more insights on the life of the fiery General Luna. (Did you know that he is known for his generosity and that Rizal considered him a good friend?) I will gladly support any undertaking related to the film, if only to encourage more writers to publish historical books. For PHP120, it is worth the price and is a very good read. Coffee Bean and Tea Leaf (CBTL) is my husband and I’s happy place. We usually go to CBTL weekly for our usual bonding. This is where we hash things out when we argue and where we usually discuss our plans and dreams for the future. 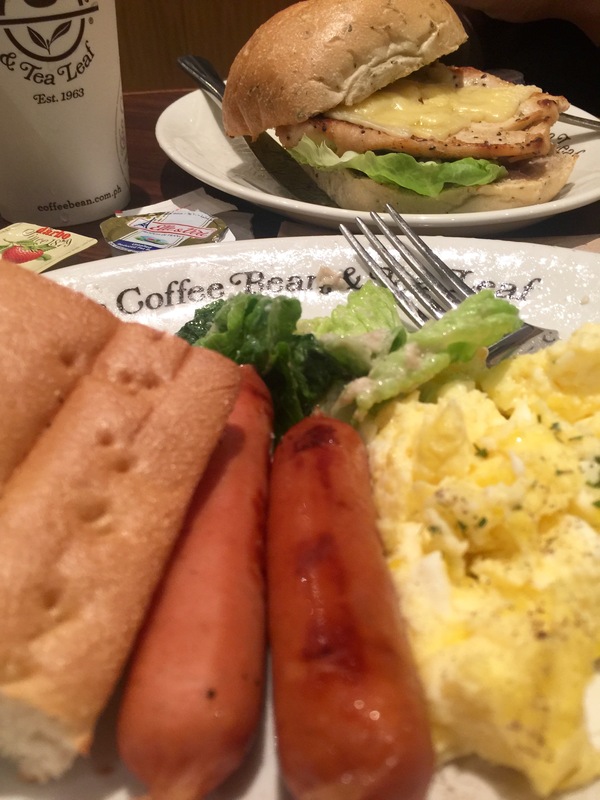 Aside from the coffee and tea, CBTL makes the best meals. My favorite is their breakfast menu simply because I love eating breakfast food no matter what time of the day. My current favorite is the Brek-O-Day, a platter composed of big focaccia bread slices, 2 sausages, herbed scrambled egg and a side of salad, served with jam and butter. I usually wash it down with a steaming mug of Genmaicha tea. These things usually help me get through an otherwise tough day… Or week. Sometimes, even a cup of hot tea, good food and good reads can restore balance in my otherwise cha price universe. What is a Cedula — and what is it for? 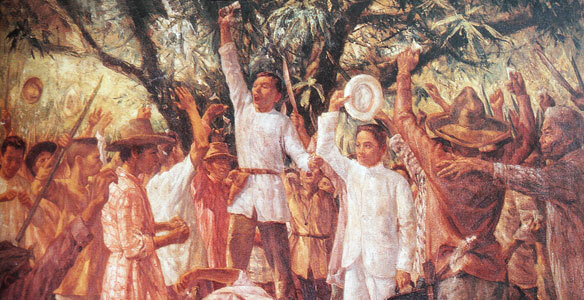 During the Spanish era, one of the highlights of the Philippine revolution was when Andres Bonifacio and his fellow Katipuneros tore their Cedulas to signal the start of the Filipinos’ revolt against Spanish rule. That moment in history is called “The Cry of Pugad Lawin” (also known as “The Cry of Balintawak” where in August 1896, members of the secret society of Filipino revolucionarios Katipunan tore their community tax certificates (cedulas personales) while shouting, “Mabuhay ang Pilipinas” in their defiance of their allegiance to Spain. More than 100 years later and on a God-forsaken Friday morning, I ponder this same thought as I line up in one of the available windows of the city hall to get my community tax certificate or cedula. The Hub and I needed to sign some contracts and one of the requirements is a CTC number. So, five years after I got married, I found myself again needing one. So what is the Cedula or the community tax certificate? To me, it’s the random jumble of numbers which you need to acknowledge a document prior to sending it to the notary public. But because I was curious, I looked it up and found out that here in our country, Cedulas are considered primary forms of identification, in the same vein as the passport or your driver’s license. CTCs are issued to individuals at the age of majority and who has paid their community tax. During our usual office round table during lunch, I asked what’s the difference between the freaking tax deducted from my salary and the community tax? The cool boss said that our community tax pays for the utilities used by our town or city, like garbage collection, payment of the city security group, fixing of local signs and light fixtures. In my head, I can’t seem to process that I am paying this government twice in order for it to function. “In the modern digital age of electronic identification cards, does the Philippines still need that relic of the Spanish era, the community tax certificate known as the cedula? For Bureau of Internal Revenue Commissioner Kim Henares, the answer is a firm no. “Sa totoo lang, if there’s going to be any policy reform ay siguro ang unang reporma ay alisin ang hindi na kailangan,” Henares told reporters in Manila during the BIR’s weekly filing of tax evasion cases at the Department of Justice. “Ang cedula ay isang bagay na hindi na kailangan ngayon. Spanish time pa ‘yan eh. Ngayon nga pag nagno-notarize ka hindi na pinapansin ang cedula kasi alam ng lahat ng tao kahit saan pwede kumuha ng cedula,” she said. Also called a residence certificate, a cedula is a legal identity document issued by local government units to residents upon payment of community tax (usually P5 for an individual wage earner). Henares also lamented that her agency, which is mandated to manufacture the cedulas, spends money to print them out and distribute them to the LGUs, but never sees the earnings derived from them. “Iyong kinita ng local government sa cedula hindi pumupunta ni isang kusing sa BIR [or] sa national government,” she said. “Hindi ko alam kung saan napupunta sa local government, pero magkano ba ang nakukuha nila?” Henares added. She could not immediately provide the exact figure of how much could be saved if cedulas were phased out, but said it would be “in the millions.” Henares said the BIR is required to provide cedulas to the country’s more than 1,000 cities and municipalities. “I think that is an area that is ripe for reform. You remove that,” Henares said. The certificates took their place in Philippine history in August 1896, when revolutionary leader Andres Bonifacio led his men in tearing up their cedulas, an act of defiance against Spanish rule. I currently a resident of the Philippines’ so-called richest city, with our current mayor a spawn of a political dynasty with ambitions for the highest office in the land. Considering the number of employed people in these city and the number of people who was in line that day, waiting for their own cedulas, I want to know where these so-called “taxes” are going. The dynasty said that our city is a rich city, and if it is so — then do we need to pay for a piece of paper with no significant use other than to acknowledge a legal and binding document? Can’t our passport numbers or Unified ID Numbers do that for us? In this day and age where the road to progress is getting wired and wired further and everything online, don’t you think it’s about time that these cedulas get torn up for good?